Large Open Gathering Space, Open Porch(es), Outbuilding(s), Outdoor Living Space, Security Gate, Shaded Area(s). Garden View, Open View, Panoramic, Valley, View. 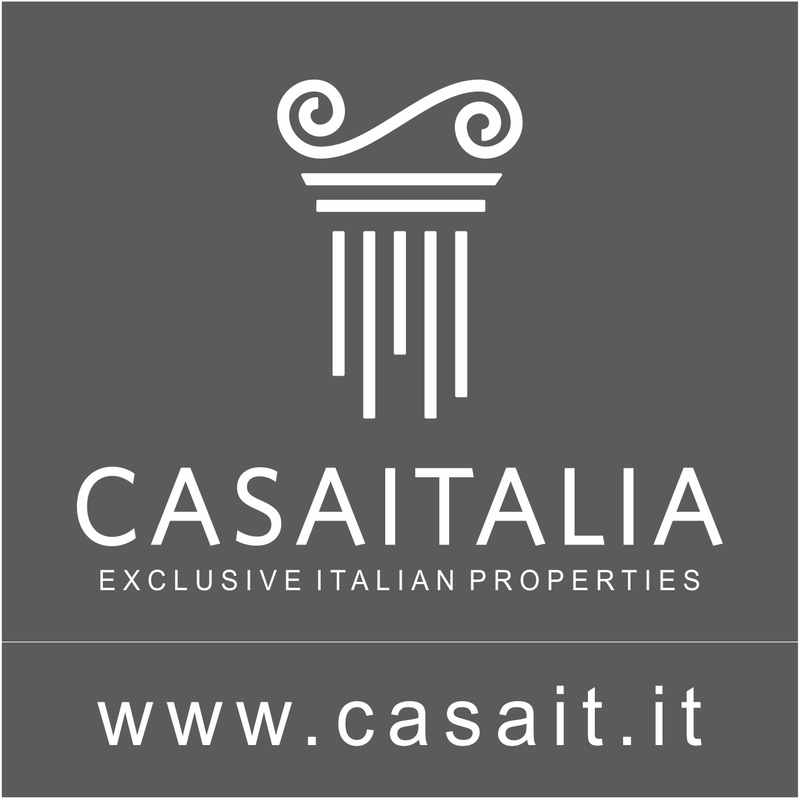 Villa measuring around 439 sq.m in total, with 197 sq.m guest house, for sale in the hills 4.5 km from Pontedera. Ideal as a holiday home or small hospitality business, comprises 8 bedrooms and 7 bathrooms altogether, plus large, picturesque living spaces. Private garden of over 5000 sq.m, possible to build a pool. 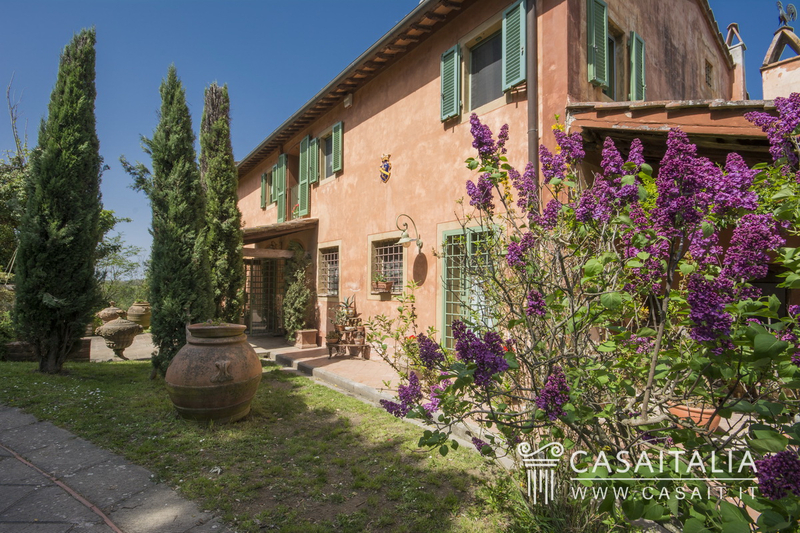 Geographic position Villa Toscana is situated in a quiet, secluded location at the gates of a small, medieval village on a hill, 5 minutes’ drive from Pontedera (4.5 km) with a panoramic view stretching over the Arno valley to Pisa. 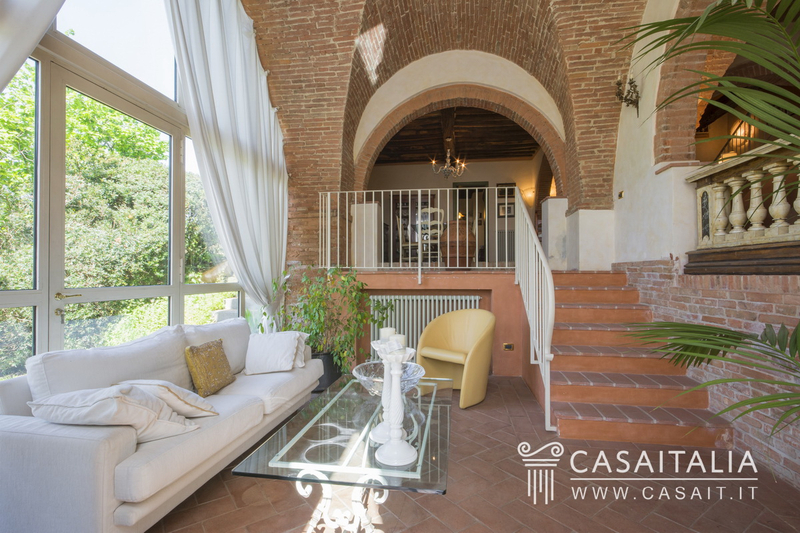 The location is convenient and central in relation to Tuscany’s main historic centres: Pisa, Lucca and Livorno are around 30 km away and can be reached in less than half an hour’s drive, and Florence (50 km) and its airport in around 40 minutes. 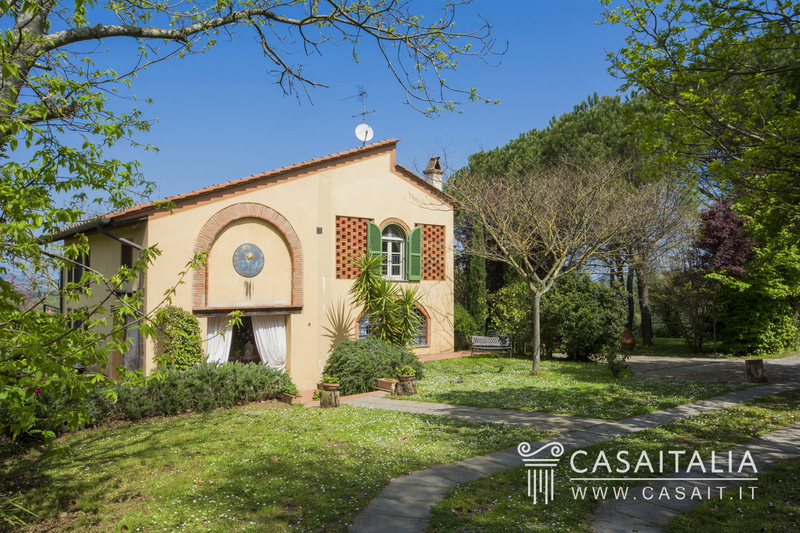 The property is also ideal for those who love the sea, with the Tyrrhenian coast just 30 km away and the ability to reach some of Tuscany’s exclusive beach resorts, such as Viareggio (60 km), Lido di Camaiore (62 km) and Forte dei Marmi (70 km) in less than an hour. The nearest airport is Pisa, 30 km away. 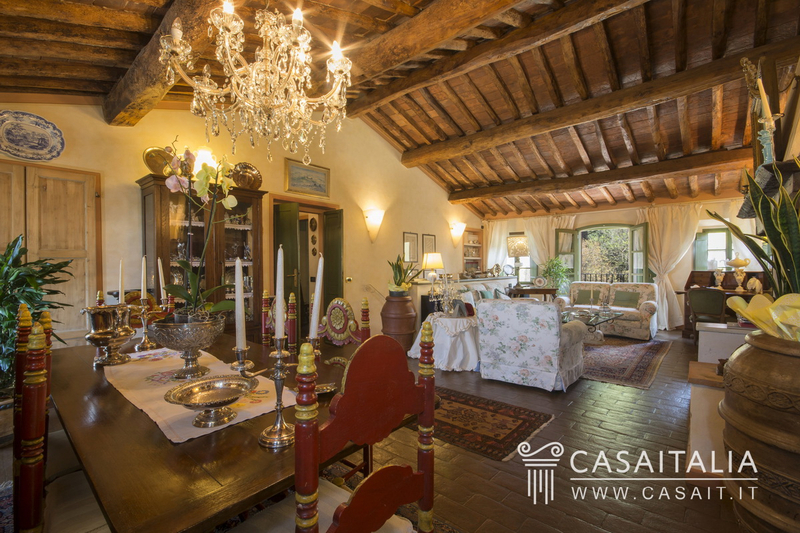 Description of buildings Villa Toscana comprises the main villa, the old barn, now converted into a guesthouse, and a large storehouse. The main villa Built around an old viewing tower dating from the 18th century, it has a total surface area of around 439 sq.m, over two floors. Inside there are currently two apartments with separate entrances, however, they are connected by an internal staircase and would be easy to bring back together. 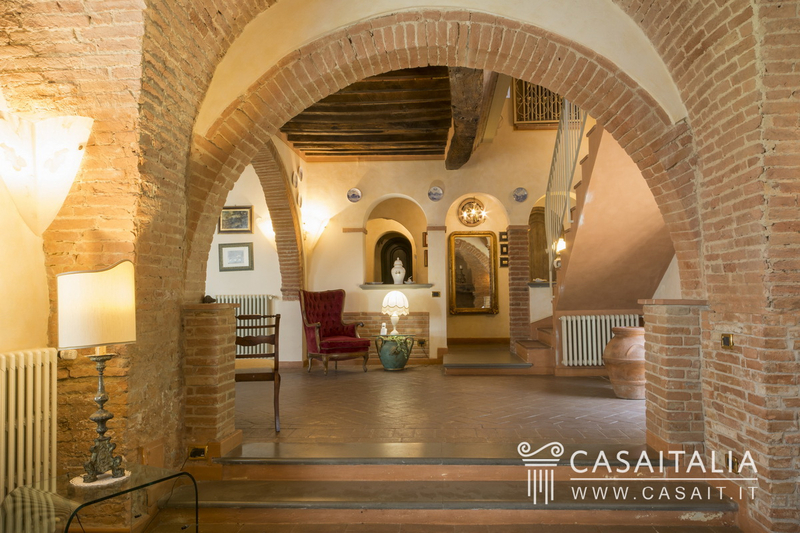 The apartment on the ground floor has an entrance hall, a large living area with dining kitchen, the dining room, a spacious living room with fireplace, a glazed loggia/sitting room, two bedrooms and a bathroom. The other apartment is on the floor above, accessible via an indoor staircase and an outdoor spiral staircase, and is currently divided into a living room, kitchen, two bedrooms with en-suite bathroom and two further bedrooms with a bathroom. 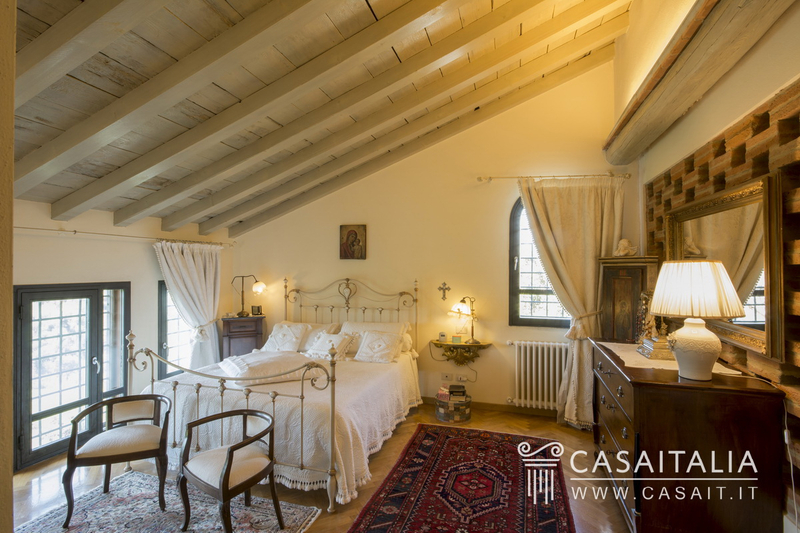 The old barn/guest house Next to the main villa with a total surface area of around 197 sq.m, on two floors. The ground floor is divided into a large living room with fireplace, dining kitchen, a study/bedroom, the laundry room and a bathroom. On the floor above there is the sleeping area, with a bedroom with en-suite bathroom and a small terrace, and two further bedrooms, one of which has access to a large panoramic terrace, and a bathroom. Finally, there is a storehouse measuring around 40 sq.m. 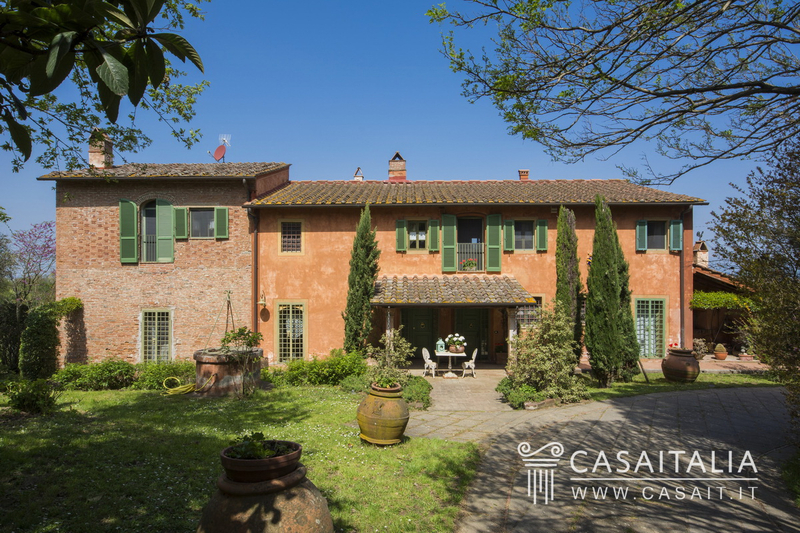 State and finishing Villa Toscana has been restored and is in excellent condition. The exteriors are partly plastered and partly exposed brickwork; the interiors are rustic, with tiled floors and wooden ceilings. 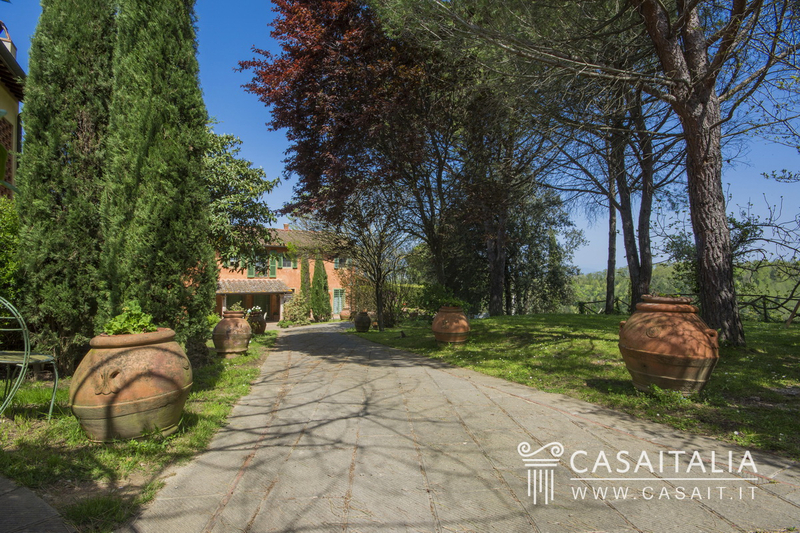 The property’s architecture fits in perfectly with the hilly Tuscan landscape. External areas The property’s land is completely fenced in, with two gates. 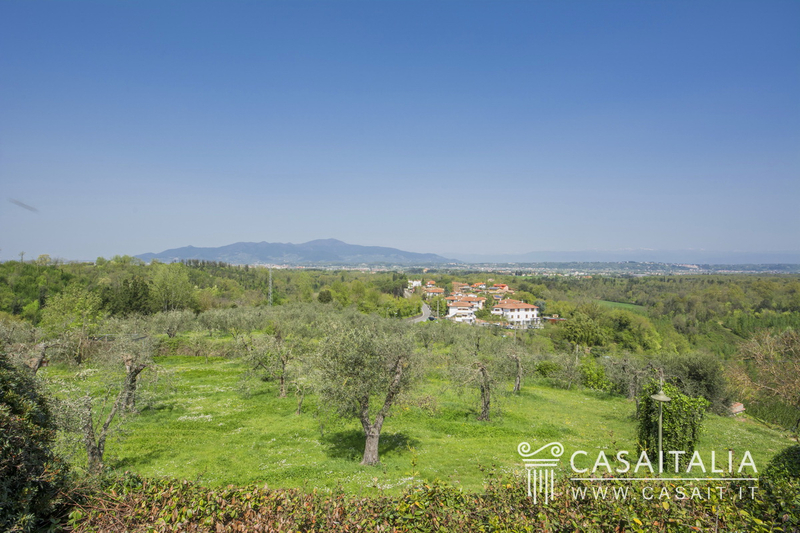 It measures around 5475 sq.m, with part being used for a garden and part with a small, fertile olive grove. If desired, it would be possible to build a swimming pool, upon obtaining the necessary planning permission. Use and potential uses Thanks to its excellent location, panoramic and secluded while at the same time not far from a small town with everything you might need, and central in relation to some of Tuscany’s main historic centres and to the sea, Villa Toscana would be perfect both as a second home or as a main residence. 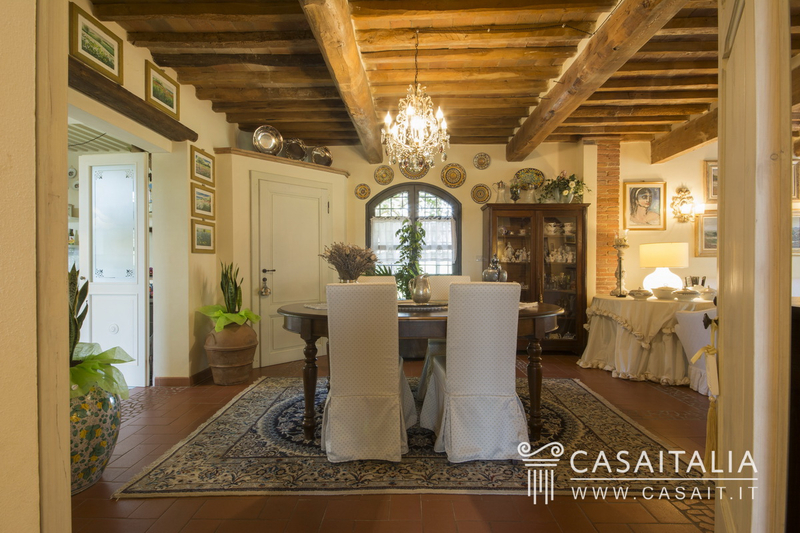 The two separate buildings and the villa’s current layout as two apartments also make this an ideal property for a small hospitality business.